A list of all our Chiang Mai Trekking itineraries with direct links to each tour. Wayfarers Travel Thailand has been organising trekking in Thailand for over twenty years. We are under British/Thai management and fully licensed with the TAT - license no. 22/0021. All our guides are fully licensed and all our trips are insured to meet with TAT regulations. Choose from a range of trekking trips designed to suit all needs. 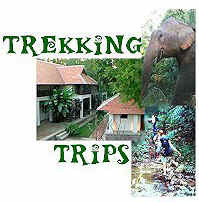 Chiang Mai Trekking Package - 2 day trek itinerary including elephant riding and rafting - easy level. Accommodation in Chiang Mai before and after trek included. Chiang Mai Trekking Package - 3 day trek itinerary including elephant riding and rafting - moderate level. Accommodation in Chiang Mai before and after trek included. Please note all itineraries are private trips for groups of minimum 2 persons.